A PLANNING application has been submitted to Leeds City Council to turn a former lap-dancing club in to a new boutique hotel. 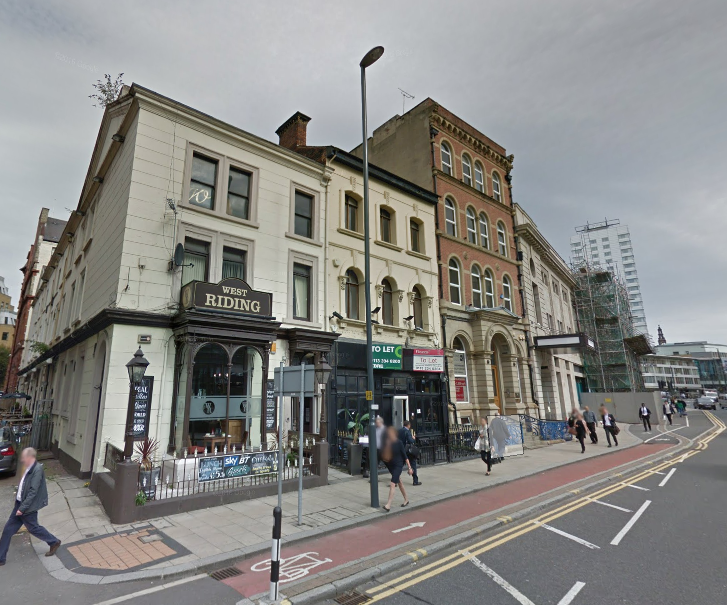 APM Ltd want to turn the former Deep Blue club in Wellington Street into a 21 bedroom hotel with rooftop terrace and bar. 36 Wellington Street, which is sandwiched between the West Riding pub and Queens House – both Grade II listed properties – and just over the road from Leeds railway station, is currently vacant. The building itself dates back to the 19th century and it the developer plans to retain the Victorian front façade whilst rebuilding the internal structure to support new floors. The proposals would save “the building from dilapidation by putting a sustainable use which is committed to high standards of appearance and ethical responsibility,” says the developer. Related: Find boutique hotels in Leeds.